Lifestyles Healthcare Group always appreciates feedback from our valued patients. To date, we’re thrilled to have collected 26 reviews with an average rating of 5 out of 5 stars. Please read what others are saying about Lifestyles Healthcare Group below, and as always, we would love to collect your feedback. Lifestyleschiro is an phenomenal practice, I would recommend them to anyone. The doctor, staff, you will not be disappointed. I have had stem cell therapy provided by Dr Carolyn. The entire team from the trainers, the massage therapist to the administrative staff to Dr. Carolyn have provided caring, supportive, competent professional care. I've been back and forth to the center with various ailments (bursitis in the shoulder and lower back pain) and each time I've been extremely well taken care of. The staff are extremely friendly, and I love the fact that they also are about educating you about how to prevent pain, as much as they are about relieving current pain. I love the practice and everyone associated with it!! Dr. Darin is amazing and I highly recommend them to everyone!! Dr Stokke & staff are always professional, friendly and helpful! Smooth, thorough and very professional. Dr. Stokke and his staff are friendly, kind, do amazing work and care about their patients. I am on a once a month maintenance program but if something does happen where I am in pain, Dr. Stokke will take his time to figure out what works best to have no more pain. I have always had wonderful results. I always recommend Dr. Stokke to anyone who would benefit from his services. I first came a few weeks ago because of low back and hip pain which was significantly affecting my enjoyment of life. In a few weeks, my pain has greatly diminished, and I’m able to take long walks again, and enjoy my fitness classes. The receptionists are very efficient and welcoming, the trainers skilled, and Dr. Heinz very caring and responsive to my issues. 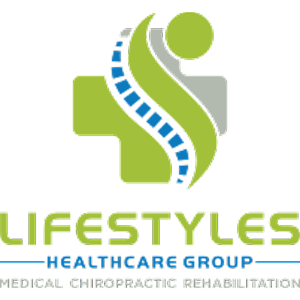 I highly recommend Lifestyles! A rare combination of outstanding care and a special friendly staff. Dr Stolke and his staff get the results you are looking for- no more pain. A jewel of the staff is Emil the massage therapist, just outstanding. Emil and Dr. Stokke combined keep me feeling great after getting me back in a month from 2+ years of lower back pain. I love the staff at Lifestyles Chiropractic! They are kind and genuinely care about your well being. I had an experience where I was in a lot of pain and I called trying to get an appointment for that day. I spoke with Susie and that day they happened to be totally booked, but she got me in for an appointment and they took care of my issues. I really needed them that day and they were there for me. I won’t go anywhere else as long as I live in south Florida. They truly are the best!! Emil provided an excellent massage. He was thorough and provided me with helpful information.